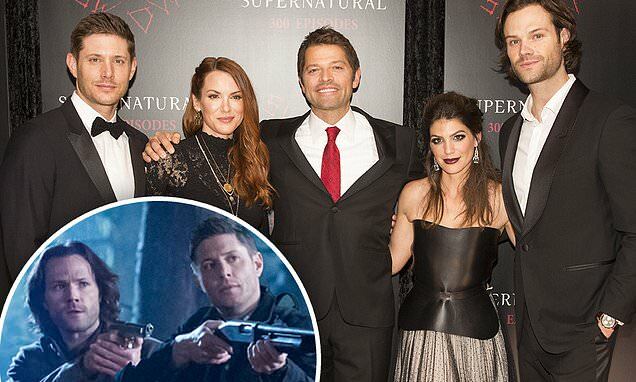 Series stars Jared Padalecki (Sam Winchester) took to Twitter on Friday afternoon posting a video with Jensen Ackles (Dean Winchester) and Misha Collins (Castiel) where the revealed the show is coming to an end. 'We have some big news that we wanted y'all to hear from us,' Padalecki, 36, began, before Ackles confirmed Season 15 will be the show's last. 'We just told the crew, that, though we are very, very excited to be moving into our 15th season, it will be our last,' Ackles, 41, added. '15 years of a show that has certainly changed my life, I know it's changed these two guys' lives, and we just wanted you to hear from us that though we're excited about next year, it will be the finale of an institution,' Ackles continued. Collins chimed in, stating that they had, 'talked about this in advance' that they didn't want to 'get emotional' in their farewell video and just 'try to be cool.